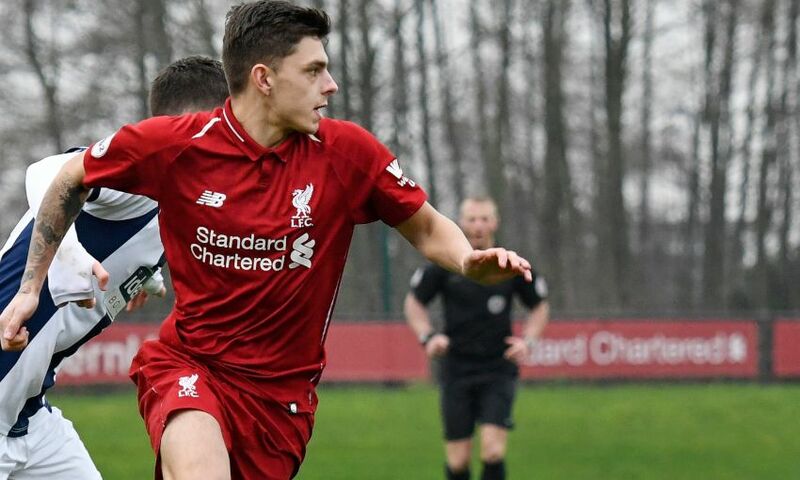 For a young, up-and-coming left-back, Adam Lewis believes he has the perfect role model to learn from. 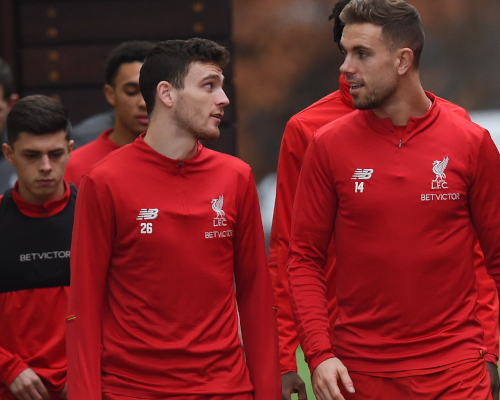 The 19-year-old Scouser has been given the opportunity to work alongside Andy Robertson up close, having regularly participated in senior training sessions at Melwood this season. 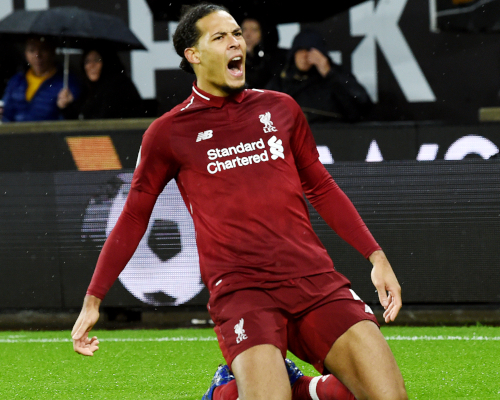 It's an experience Lewis believes to be invaluable, particularly given he rates Liverpool's No.26 as 'argubly the best left-back in the world'. Ahead of tonight’s Premier League International Cup tie with Swansea City at the Academy - which you can watch live on LFCTV and LFCTV GO from 7pm GMT - we caught up with the England U20 international about his hopes of following good friends Rafael Camacho and Curtis Jones in training more frequently at Melwood. The main example is Rafa [Camacho]. You wouldn’t expect him to get on the bench in a Premier League game because obviously we are chasing the title. But the manager loves young players and you look at it and think there's a chance for me to step up and try and get that chance Rafa has. The same as Curtis too as he is a young kid. I’ve been down to Melwood a bit now and learning off the best players makes you a better player, and you look at those two and think how far they have come since last season. Making an appearance for our first team is a kid's dream. That’s the game, isn’t it? You look at Jamie Carragher and Steven Gerrard; Steven made his debut at right-back and he was a midfielder. As long as I’m in that starting XI that’s all that I am bothered about and I'll just give everything I have got. Playing as a left-back now, I’ve learned so much about the different side of the game. When I was a midfielder I was more attacking but I have worked on my defending and going to left-back has helped me so much. The biggest example is Robertson. He’s arguably the best left-back in the world right now and I look up to him as my inspiration because obviously I want to do what he is doing. The energy he gives to the team is massive and he is a really big part of our club. He is always coming over to me and helping me out. I know Trent well and Andy is close to him as well. Andy is a good person to have around because he gives you the advice you need which is great for me playing in the same position as him. I look up to him and think what can I do better because he plays every game for our first team. I think to myself 'what do I need to do to get the chance to do what he is doing for us'? Speaking to him he always helps me and gives me advice for what I need. When you are down there and training with the likes of Mo Salah, Sadio Mane and Virgil van Dijk, they are obviously going to make you a better player. Like I said, Robertson is the perfect example because I go into training at Melwood, not so much copying him but trying to do what he does. I just want to do what he does for the team. I was with the first team on a training camp 12 months ago; now I look at that and see how far I have come from then. I have made myself a better player because I have been down there training with those type of players. With people like Mona [Nemmer] the nutritionist - and we also have Tom Maynard at the Academy - little things like that from them can make you a better player off the pitch because the things you eat are probably the most important thing to make you last the whole season. You look at Robertson and the way he is up and down the pitch for 90 minutes and he doesn’t even break a sweat! The habits they have, we as young players need to have that as well. They are playing at the best level so Robertson is just the best example for those habits. For me, I feel I need to get stronger and bigger because when I go up to Melwood I don’t want to be the odd one out where I’m struggling and the manager notices that and then he doesn’t trust me to put me in a game. So that’s what I’ve been focusing on during the last 12 months since the training camp - getting stronger and I can feel it in my body. I’ve been working hard. It was a mad one, to be honest. Just being part of the squad was brilliant and I was there training with the squad three days before the game as well. When the manager told me I was going to be travelling to Wolves as part of the first-team squad, I was just amazed to be honest and thought to myself: 'This starts now!' You look at Rafa, Curtis, Ki-Jana Hoever, who came on, they all did amazing and I think to myself I could have a chance to do that as well. Our manager gives chances to the kids and gives us the chance to prove what we can do. I enjoyed it as Critch gave me a free role. I like to get on the ball and make things happen, that’s my game. The most important thing was the team and trying to get the three points because we needed a win. The lads did everything we could against a good strong team. I had a chance to score the winner with my right foot and I should have scored. We had the chance to win it with the last kick of the game through Pedro Chirivella when the penalty was saved. We have struggled on penalties this season, I’ve missed a few myself, but we just need to focus on this game now, go into it with a winning mentality and get the three points. We started the season struggling to get the wins and drew a lot of games. We have progressed and we have a strong team at the moment. Swansea City have a good team but we are at home and it should give us an advantage.